Today is the first sunday of August, the eight month in the Gregorian calendar. It is summer in the northern hemisphere and winter in the southern. One interesting bit of trivia is that August ends on the same day of the week as November every year. This month was originally known as Sextili as it was the sixth month. It shifted around for a while as calendars were changed or adjusted until around Julius Caesar added to more days to give it a full 31 and by that time it was the eighth month. It became August (Latin Augustus) to honor the Emperor Augustus. The word august has come to mean respected and impressive. Saying someone is part of an august body is to say the body is distinguished and renowned. The birthstones for August are peridot and sardonyx. 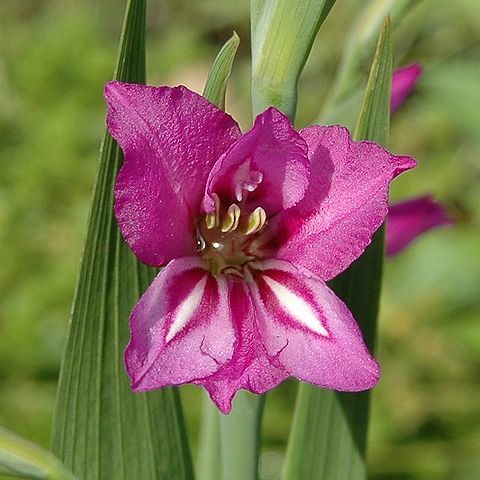 The August flower is the gladiolus or poppy.